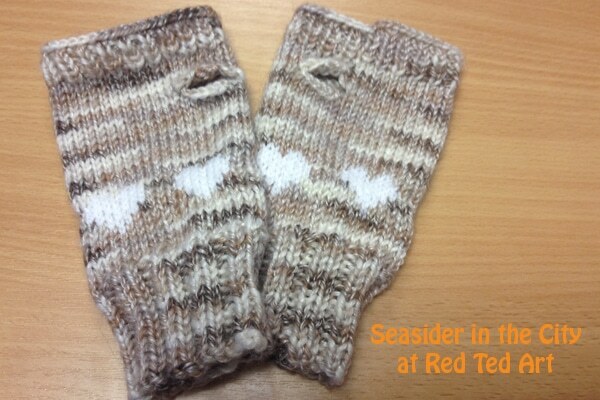 Welcome to Clare, from Seasider in the City on 31 Days of Love series. 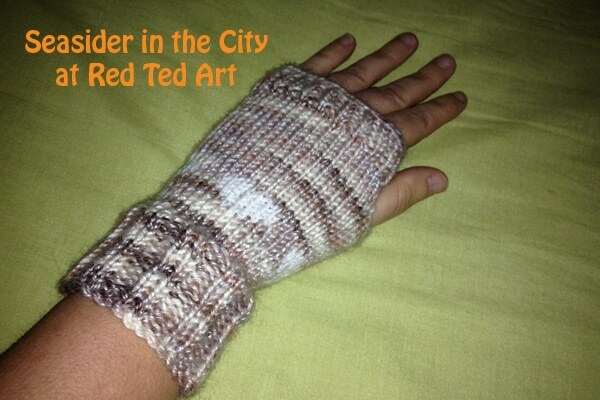 I love here wonderful Free Knitting Pattern to make these fingerless gloves. 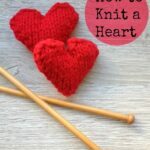 A great knitting starter project and a lovely Valentine’s Gift too! 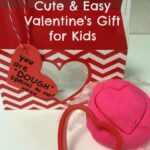 Check out previous posts, such as Valentine’s Cards , Valentines Gifts that Kids can Make and Valentines Treats! 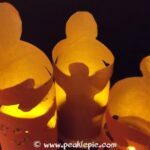 I’m Clare from Seasider in the City and it’s a pleasure to be here on Red Ted Art – not somewhere I would ever have expected to have turned up! 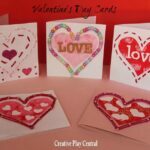 When you think crafts my blog is not one that would ever spring to mind. A month or two ago I took up knitting and in some way have caught the bug! I’m still very much a novice but being able to see my knitting improving with every piece gives me so much satisfaction. Recently I have discovered the joy of circular needles and have been using tiny ones to make covers for my golf clubs. 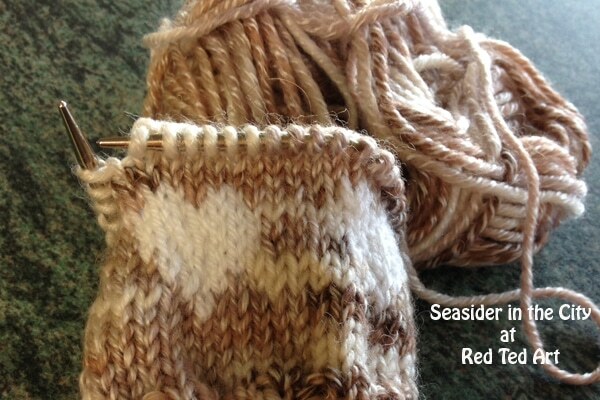 It’s with these that I set myself the challenge of these Fingerless Gloves. 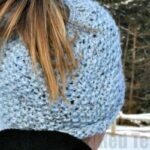 I don’t know much about yarn/wool (not sure of the difference either) so I picked something that wasn’t too thick and that I liked the look of, these beiges I thought we just warm enough, and I chose white for my hearts. 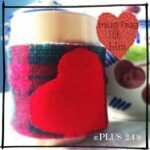 I used a 20cm 3.25mm circular needle for this project. 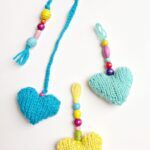 Switch to heart pattern below, starting from bottom right and using your alternate colour for the hearts. 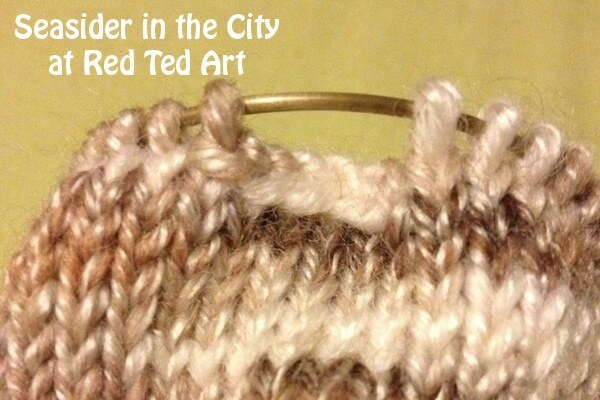 As you knit every row on circular needles the second line of the pattern also starts on the right. I managed these on my first attempt and am really proud of them. 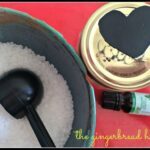 Make them for a friend or just as a lovely treat for yourself! !